World Autism Awareness Day 2016: What is autism and what causes the condition? There are more than 700,000 people in the UK living with autism – which is more than one in 100. World Autism Awareness Day is marked on 2 April to raise awareness of the condition and its impact on individuals and families. On the day, here are key facts, myths and statistics about the lifelong condition. Although there is no cure for autism spectrum disorder, a better understanding of therapies, support and other interventions are available to help adults, children and their parents. 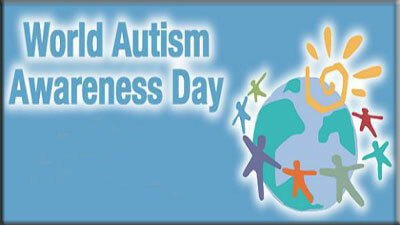 Autism is a condition that affects social interaction, communication, behaviour and interests. It is a spectrum disorder, which means that while autistic people share certain difficulties, the condition will affect individuals differently. Unless the right support is available or given, autism can have a profound and sometimes devastating impact on individuals and their families. The right support can make a huge difference to the lives of people with autism and those around them. The NAS has recently launched a campaign called Too Much Information, to raise awareness of autism. The exact causes are unknown, but research suggests a combination of genetic and environmental factors may be involved. The condition is not caused by a person’s upbringing or their social circumstances. According to the NHS, most researchers believe a child’s genes inherited from their parents could make them more vulnerable to developing autism. Others believe an individual born with a genetic predisposition to autism only develops the condition if they are then exposed to specific environmental triggers, such as certain epilepsy medications. A number of things have been linked to autism in the past, including the MMR vaccine. Various major studies worldwide have shown no evidence of a link between autism and the vaccine.